Louisiana cannot implement a restrictive law that opponents say would have left only one doctor eligible to provide abortions in the state, the U.S. Supreme Court ruled Thursday. 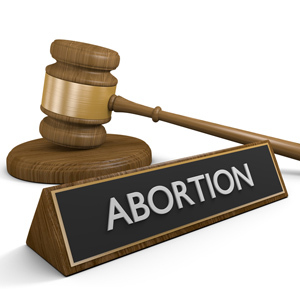 In a 5-4 vote, with Chief Justice John G. Roberts Jr. joining the four liberal justices in the majority, the court granted a request from two physicians and a clinic to block Louisiana’s Act 620, which requires that doctors performing abortions hold “active admitting privileges” at a hospital within 30 miles of where the procedure takes place. The New York Times, the Washington Post, the Los Angeles Times, the Wall Street Journal and USA Today reported on the decision, issued a few hours before the law was set to go into effect. On Feb. 1, Justice Samuel A. Alito Jr. stayed implementation of the law until Thursday to allow the Supreme Court time to review case filings. The court issued a temporary stay while the physicians and clinic appeal the 5th U.S. Circuit Court of Appeals at New Orleans ruling that upheld the law but did not explain its decision further. Roberts dissented in the court’s review of the earlier decision, voting to uphold the Texas law. While his vote to grant a stay in this case is seen as “something of a turnaround,” the New York Times said, it does not necessarily mean he will vote to strike down the Louisiana law when the case returns to the court. Justice Brett M. Kavanaugh published the dissent, which acknowledged the court’s precedent and said he would have preferred more information on the effect of the law.